CLUSE, a watch brand for women originating from the Netherlands has in only a few years spread throughout Europe with massive speed. Found in 2014, the brand can already be purchased from thousands of retailers around Europe. 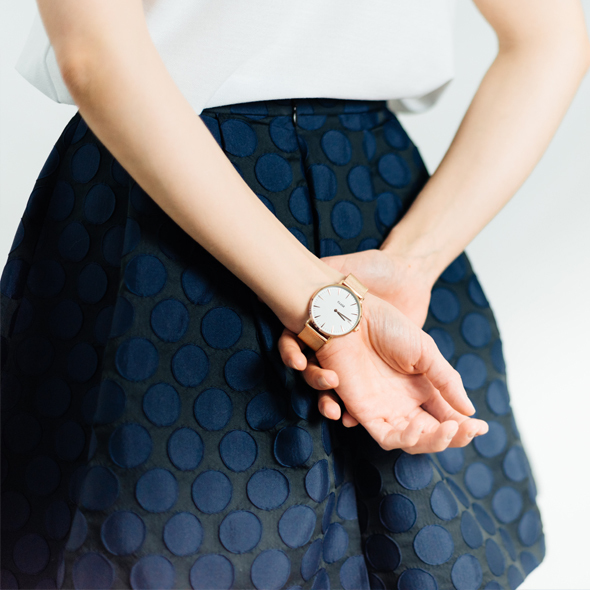 CLUSE timepieces are minimalistic, elegant and sophisticated in style. A CLUSE watch is not there only to show time, but to complete and inspire a whole look. The classy outlook and feel of the watches combined with a relatively low price ranging from 90 to a 150 euros a piece, the brand has successfully cut itself a piece of the watch market that before was commanded by a couple more costly brands. With attention from top figures in social media and blogging world and having been featured in fashion releases such as Cosmopolitan, some demand for the watches was starting to show also in Finland. the sales and marketing weren’t progressing like in the surrounding countries. After it became evident that similar results were not going to be achieved, CLUSE started looking into local options for a business partner. SB Ecommerce has now been selected to start as the sole representative of CLUSE in Finland. The business will include warehousing and handling shipments of the watches from offices in Lahti, launching an own online store for the brand, creating and managing online marketing for the brand including local social media and also building a retailer network throughout the country. Sprichst und schreibst du fließend Deutsch? Annual sales campaign Freddy Friday held on 29.4.